Unfortunately, apart from a couple of ladies running Book Bloggers International, no one else seemed to have joined this read-along. So it’s looks more for me like a scheduled reading, with a few chapters per week, than a read-along per se. Which is actually not bad, as at least, it gave me the incentive to read the read and enough time to do so. 1. What do you think were the themes in Part I of the book? How were the essays tied together? 2. In Chapter 4, Noah talks about the power of language and how it can overcome–or at the very least confuse–racism. He says if people speak the same language, they recognize one another as members of the same “tribe,” even if they look completely different. “Maybe I didn’t look like you, but if I spoke like you, I was you.” Do you think this is true? I totally agree, you see this also at the social level between groups of people. Plus of course, language is the first tool to really know someone else and understand what they mean deeply. Being bilingual myself, I would even go further and say it defines who I am to myself! I have already talked about this in my review of In Other Words, but as it fits perfectly here, I can reiterate that I actually feel a very different person whether I’m in the US speaking English or in France speaking my native language. And no, I do not suffer from a dual personality disorder. But language and thinking are extremely connected, so it really makes sense that you would think differently depending on the language you use. And your cultural references get different, your look on life. It can definitely influence the perception you have of yourself. And so of course influence the perception others have of you, as Trevor experienced early on in life. 3. What would you do if you came home and found out your kid had burned down someone’s house? I would certainly react different from Trevor’s mother, but again, we really need to look at the cultural context here. 4. In Chapter 7, Noah talks about his dog Fufi and how she basically formed his entire philosophy regarding relationships. What do you think of this philosophy, and does this simile really work after you start thinking about it? It works as a reminder that you cannot own others nor what they do. But at the same time, the issue is more complex: when you start building a real relationship with someone, each member needs to keep his own identity and goal in life, while building something common with the other. 5. Which chapter made you cry more, the one where Noah meets his father as an adult or the first chapter? This chapter 8, only because it resonates too closely to my own story. It was wonderful that whatever she had lived with Trevor’s father, she thought it was essential to grow-up healthily to meet his dad. 6. Anything else that surprised you or you want to discuss? – It was interesting to see how Trevor as a young boy would enjoy the special treatment he received, and go along with it, without knowing at first it had something to do with race. My mom raised me as if there were no limitations on where I could go or what I could do. And this was at a time when it was impossible to know that official apartheid would end one day. As modestly as we lived at home, I never felt poor because our lies were rich with experience. Interestingly, this is actually one of the main points of the current minimalism movement. – And the passage where they argue through letters is so hilarious – that would be better than doing it through SMS!! This kid knew how to write official letters!! – Within the context they lived in, I’m so impressed by their positive outlook on life. Here in our rich country, too often we consider the glass half-empty instead of seeing it half-full, and focus on superficial things. I soon learned that the quickest way to bridge the race gap was through language. Language, even more than color, defines who you are to people. I became a chameleon. My color didn’t change, but I could change your perception of my color…. Maybe I didn’t look like you. First, let me specify that I read this book for 2 Reading Challenges, as you can see above. The Around The Word Reading Challenge chose South Africa for the month of January. 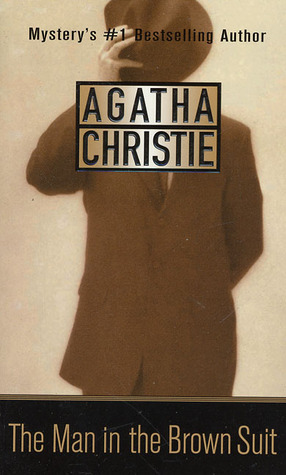 I had wanted to read more by Agatha Christie, and I discovered that this book was partly taking place in that country. 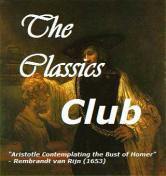 This is an original mystery, in the sense that it is very witty and funny, a bit à la Wodehouse actually. At the beginning, it sounds really easy, but then the plot thickens, and is suddenly very complex, and you realize there are a lot of things and people involved in a crime that looked originally predictable. I could not identify the killer until very late in the book, it goes almost without saying, but I had also a hard time figuring really who was who, and I had to re-read part of the book again once I was done. As I still was not sure I had got it completely, I cheated and checked the plot on wikipedia (the article is very good, but of course you should read the book first). This is not to say that this is a too complicated mystery, but rather to say that I’m really dumb as far as mysteries are concerned – I probably don’t read or watch enough, so that I have a hard time guessing ahead of time; and also to say that this is an excellently plotted book. If you have not read it yet, you should try it. As for South Africa, there were some interesting descriptions of the landscape as the heroin discovers it when she gets off the boat. 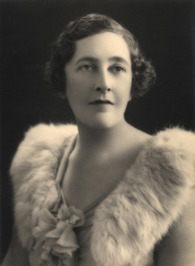 Agatha Christie also wrote romance novels under the pseudonym Mary Westmacott. Agatha Mary Clarissa Miller was born in Torquay, Devon, England, U.K., as the youngest of three. The Millers had two other children: Margaret Frary Miller (1879–1950), called Madge, who was eleven years Agatha’s senior, and Louis Montant Miller (1880–1929), called Monty, ten years older than Agatha. During the First World War, she worked at a hospital as a nurse; later working at a hospital pharmacy, a job that influenced her work, as many of the murders in her books are carried out with poison. On Christmas Eve 1914 Agatha married Archibald Christie, an aviator in the Royal Flying Corps. The couple had one daughter, Rosalind Hicks. They divorced in 1928, two years after Christie discovered her husband was having an affair. Her first novel, The Mysterious Affair at Styles, came out in 1920. During this marriage, Agatha published six novels, a collection of short stories, and a number of short stories in magazines. In late 1926, Agatha’s husband, Archie, revealed that he was in love with another woman, Nancy Neele, and wanted a divorce. On 8 December 1926 the couple quarreled, and Archie Christie left their house Styles in Sunningdale, Berkshire, to spend the weekend with his mistress at Godalming, Surrey. That same evening Agatha disappeared from her home, leaving behind a letter for her secretary saying that she was going to Yorkshire. Her disappearance caused an outcry from the public, many of whom were admirers of her novels. Despite a massive manhunt, she was not found for eleven days. In 1930, Christie married archaeologist Max Mallowan (Sir Max from 1968) after joining him in an archaeological dig. Their marriage was especially happy in the early years and remained so until Christie’s death in 1976. In 1977, Mallowan married his longtime associate, Barbara Parker. Christie frequently used familiar settings for her stories. Christie’s travels with Mallowan contributed background to several of her novels set in the Middle East. Other novels (such as And Then There Were None) were set in and around Torquay, where she was born. Christie’s 1934 novel Murder on the Orient Express was written in the Hotel Pera Palace in Istanbul, Turkey, the southern terminus of the railway. The hotel maintains Christie’s room as a memorial to the author. The Greenway Estate in Devon, acquired by the couple as a summer residence in 1938, is now in the care of the National Trust. Christie often stayed at Abney Hall in Cheshire, which was owned by her brother-in-law, James Watts. She based at least two of her stories on the hall: the short story The Adventure of the Christmas Pudding, which is in the story collection of the same name, and the novel After the Funeral. “Abney became Agatha’s greatest inspiration for country-house life, with all the servants and grandeur which have been woven into her plots. During the Second World War, Christie worked in the pharmacy at University College Hospital of University College, London, where she acquired a knowledge of poisons that she put to good use in her post-war crime novels. To honour her many literary works, she was appointed Commander of the Order of the British Empire in the 1956 New Year Honours. The next year, she became the President of the Detection Club. In the 1971 New Year Honours she was promoted Dame Commander of the Order of the British Empire, three years after her husband had been knighted for his archeological work in 1968.